Every community is a mix of people the young and old, married and single, poor and wealthy. And every community has people who are more vulnerable than others, due to age, health or disability of some kind.In days when communities were tighter, neighbours knew who these people were and looked out for and helped them. Today, with the faster pace of life and more emphasis on the home rather than the community, that’s often not the case – after all, how many of those on your street do you really know? This can be an especially tricky issue. After all, Social Services isn’t likely to release names, even to a community organisation, and quite rightly so, too. So you need to take a different approach. Ask people in the community of they know of those who are old or could use help.The big problems are that you won’t get a comprehensive list, by any means, and also how to approach these people and offer help. A lot of people stand on their pride, and don’t want help even if they need it, and there’s no simple way to work around that. You can slowly try and build up a list of those who might need extra care, and perhaps offer help gently. Have Neighborhood Watch members call on them, for instance, to give instruction on crime prevention. 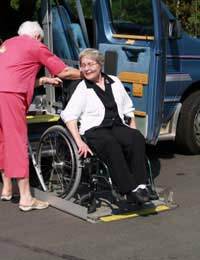 Include them in neighbourhood events – arrange transport or wheelchair help if necessary. Make them feel part of the community, rather than isolated from it. Of course, you have to do it subtly and slowly, to allow the trust to build, which isn’t easy, and often not make it seem like you’re offering help, but instead that you’re just being neighbourly.Con men work neighbourhoods, along with dodgy builders. Making the more vulnerable aware of them can help protect them. A flyer through the letterbox about what’s happening – it can be about specific problems or a neighbourhood newsletter – is another way of helping them.With the vulnerable, it can be useful for someone in the community to have the phone number of a relative to be contacted in case of emergencies. There might well be those in your community who are eligible and could use help from Social Services but aren’t receiving it. If you feel that they need it, then passing the world, preferably via a community organization of some kind, you could be doing them a favour. Again, it might be an issue of pride, and they might not thank you for it, preferring independence. For those who don’t want much help, the best thing members of the community can do is keep and eye on the vulnerable. If they haven’t been seen for a couple of days, pop round and check on them. It’s not always easy, but its part of a community’s responsibility to watch out gently for those who are more vulnerable. Doing so, bringing people together for it, helps bind the community and creates an atmosphere of caring, even in the toughest of places.